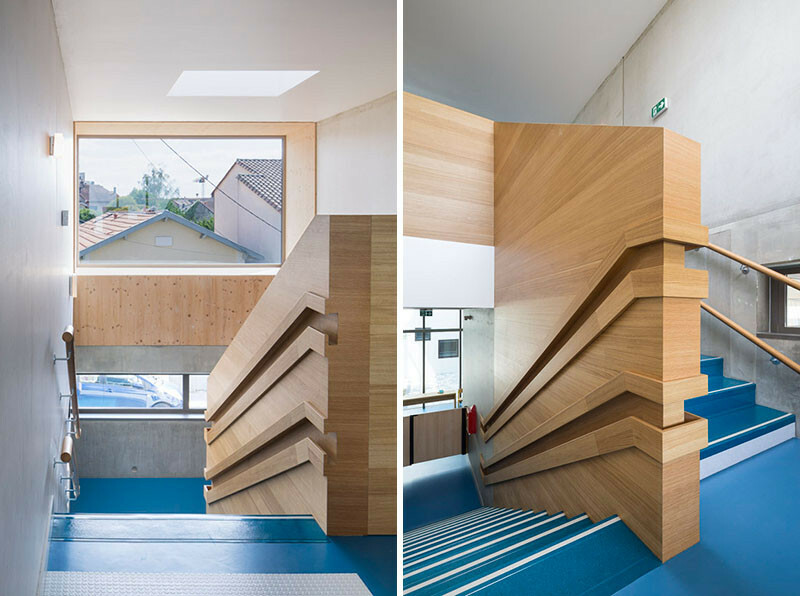 When Gayet-Roger Architects were designing this daycare building in Bordeaux, France, they put some thought into how the handrails should be designed, so they would suit both adults and children. Their solution was to include two sets of handrails on each side of the stairs. On the wall, there are two handrails attached at different heights. 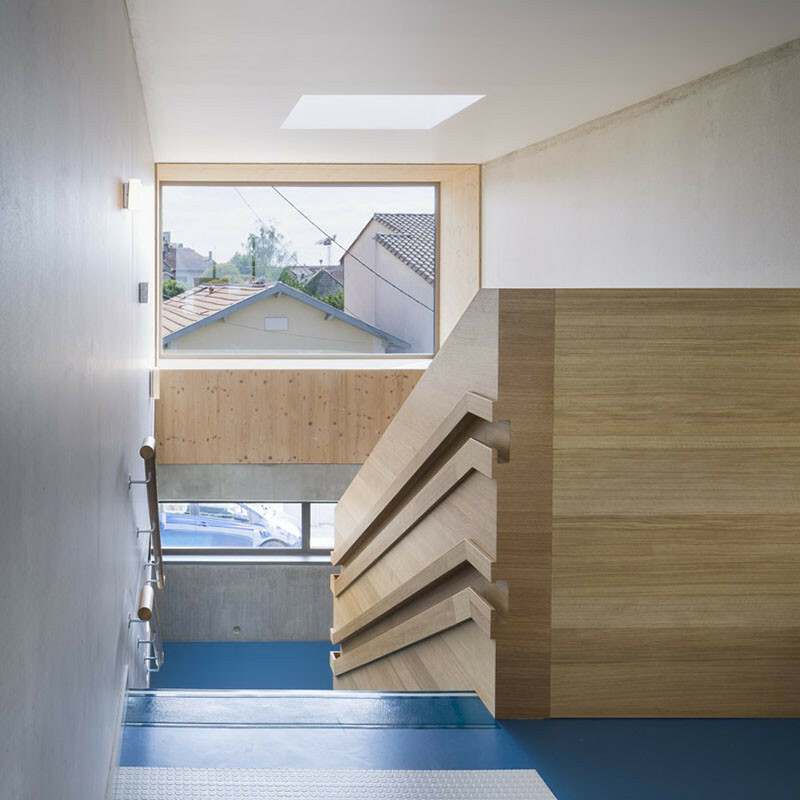 On the other side, they designed built-in handrails into the wood wall. 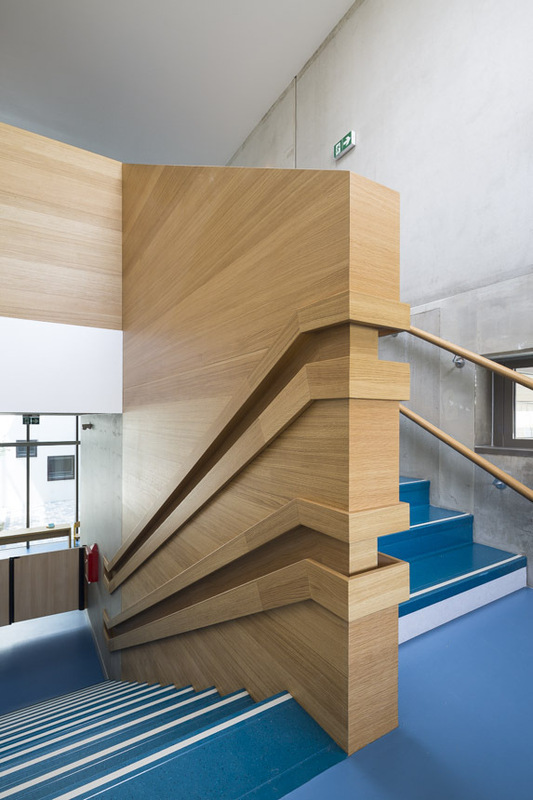 Both are a useful design detail that allow children to safely climb the stairs just like adults.